Fake Bake Gradual Self-Tan for Fair Skin has been successful in adding a touch of color to my skin this Spring with very little effort on my part. This product has a light articifial cocoa scent and gives immediate results that deepen gradually over time. Utizlizing it several days in a row will also intensify and deepen the color. It leaves my skin with a natural looking golden brown color, and not a hint of orange. I've used many self-tanning products over the years that leave a less than natural color or a few steaky areas, but I'm happy to report that this is not one of them. 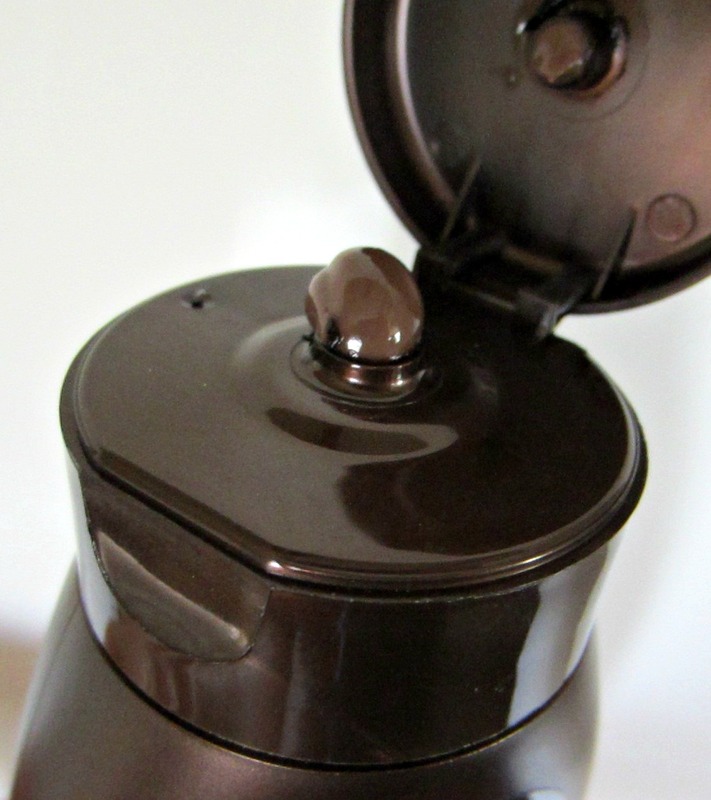 The formula is a deep chocolate brown lotion of medium consistency. I simply apply it in place of my moisturizer for optimum results, or I mix it in with my daily moisturizer for a lighter tan. I've also used it on my face mixed with my facial moisturizer many times with no breakouts. Below are the ingredients and additional information from the packaging. My skin tone isn't "fair", but after a long Winter, it is quite pale. In my case, the fair is the perfect choice for this time of year until my skin has some sun exposure to naturally darken it up a bit. I used it 3 times the first week, and have since been applying it once a week to maintain the color level. Like most self-tanners, Fake Bake works best when applied to exfoliated skin. There's no need to exfoliate every time you use it, but dry areas will not appear to have an even color distribution without proper exfoliation. If your elbows and knees are particularly rough or dry, I would suggest mixing the Fake Bake with a little body oil or lotion before applying it to those areas. This product comes with rubber gloves and they recommend using them when you apply the lotion to keep the color from transferring to the palms of your hands. I have used it both with and without the gloves, and if I rinse my hands thoroughly after the application, my palms are not stained. 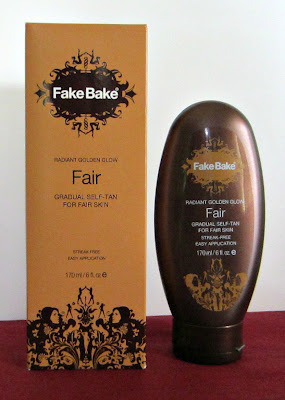 Fake Bake will give your the deepest color if you apply it at night. Leave yourself about an hour for it to absord/dry completely before going to bed, but you will be naturally bronzed in the morning! You may notice some color rinsing off in the shower, but your tan will not go down the drain. I used this more in the morning just because by the time I thought about applying it at night it was too late and I knew I wouldn't have the hour to wait. It works fine in the morning too, but the color takes several hours to really develop. Follow the directions and apply the lotion in circular motions, make sure your skin is prepped/exfoliated, and you should be all set to be sunkissed! $29.95 - 6 fl. oz. Available at FakeBake.com, Ulta, Amazon, and other retailers. I may have to try this one, my legs need color badly.